Known for its digestive properties, herb-flavoured liqueur has its origin in pharmacies and monasteries. The term “herb-flavoured liqueur” serves as an umbrella term in contemporary usage. 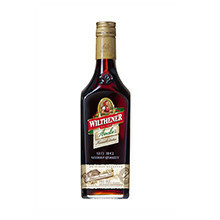 An herb-flavoured liqueur has at least 100 g/litre of sugar and 15 percent alcohol by volume. In contrast, bitters differ from herb-flavoured liqueur due to its bitter taste and its alcohol content. The production of herbal spirits is entirely determined by the desired result. For a strong herb-flavoured liqueur or bitters, extractive herbs are placed in a mixture of alcohol and water for hours to weeks during maceration. The resulting extract forms the basis for the herb-flavoured liqueur or bitters. This also applies to aromatically delicate herb-flavoured liqueurs which are extracted by means of distillation. Dried or fresh plant components are extracted in the mixture of alcohol and water during this process. 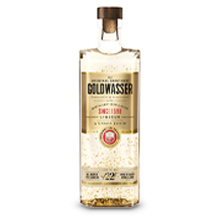 The dissolved ingredients are extracted as a distillate afterwards by means of heating, vaporisation and cooling. In contrast to the product resulting from maceration, the product resulting from distillation is usually clear. 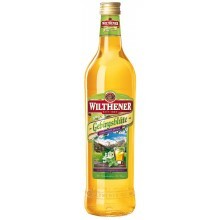 It is best to enjoy the herb-flavoured liqueur or bitters from Hardenberg-Wilthen AG pure, cooled or on ice. 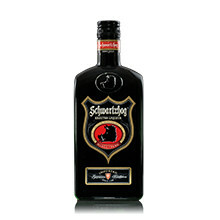 In our portfolio you will find the popular and also internationally well-known Schwartzhog from Sauwurz (literally “hog root”, also known as yellow gentian) as well as tradition-steeped Wilthener Gebirgskräuter or the import brand “Der Lachs” (“The Salmon”) with Original Danziger Goldwasser. Browse here in our range of herb-flavoured liqueurs. A close cooperative relationship with our customers is an important element of our sustainable sales management. You will find your contact here.